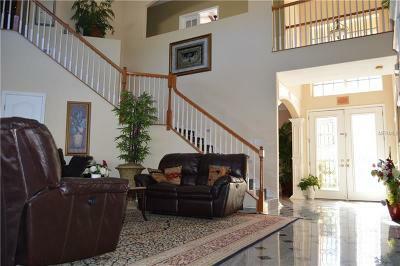 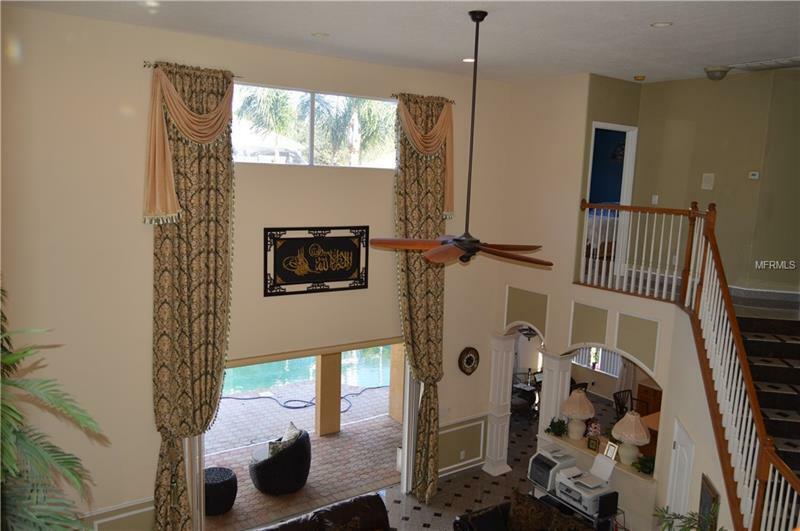 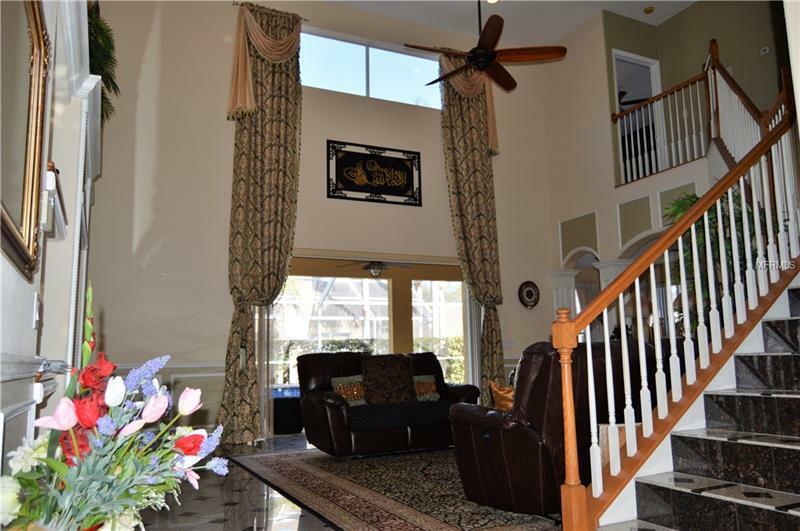 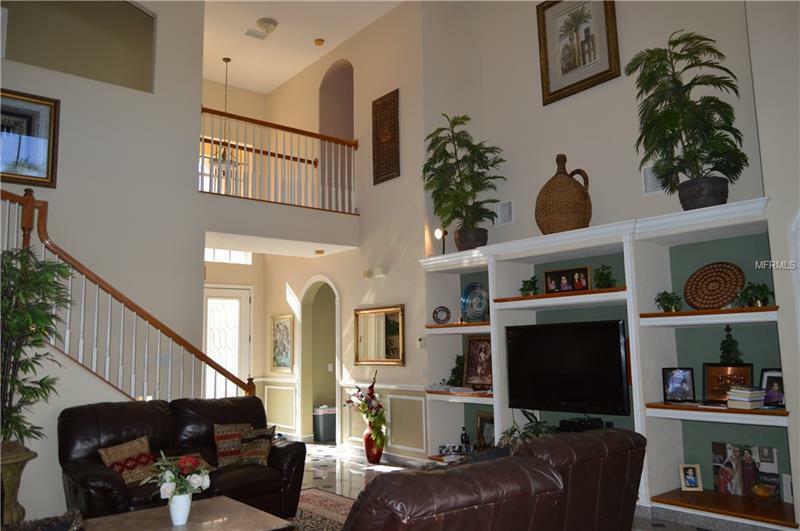 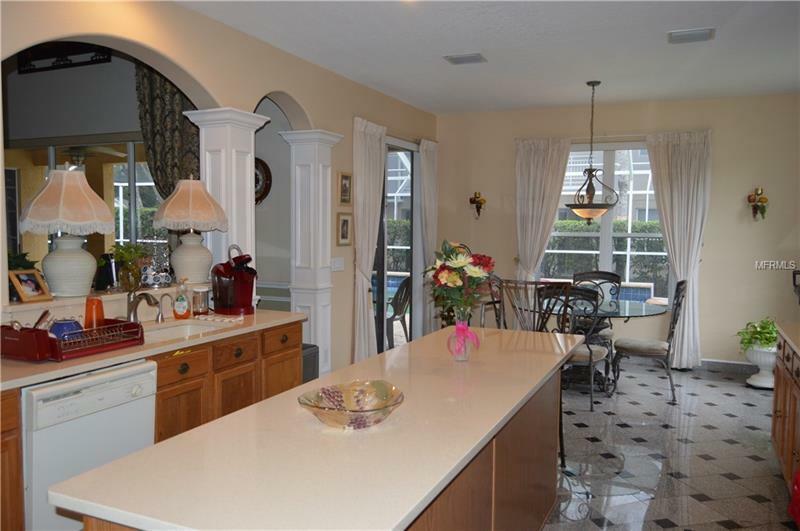 One of a kind LUXURIOUS 5 BED 3 BATH, LARGE POOL home with GRANITE flooring. 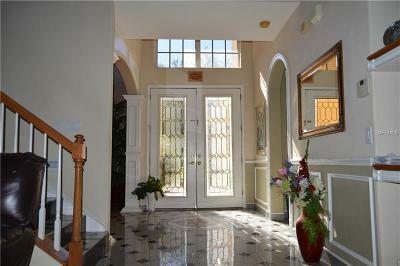 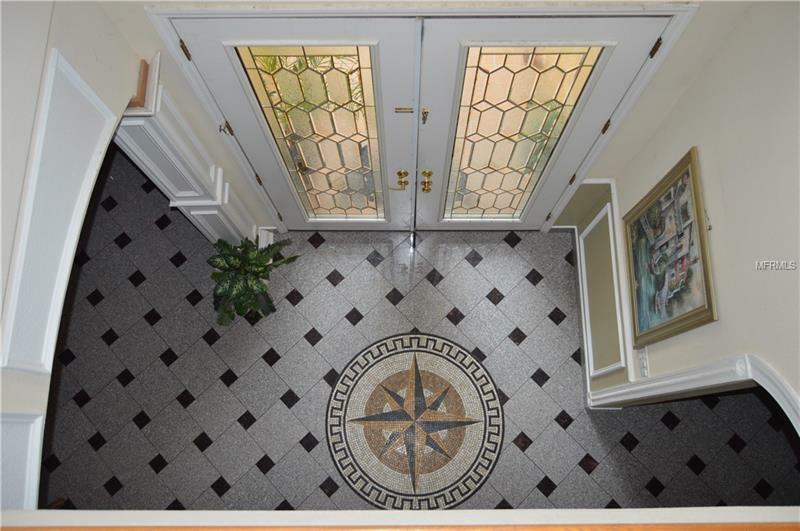 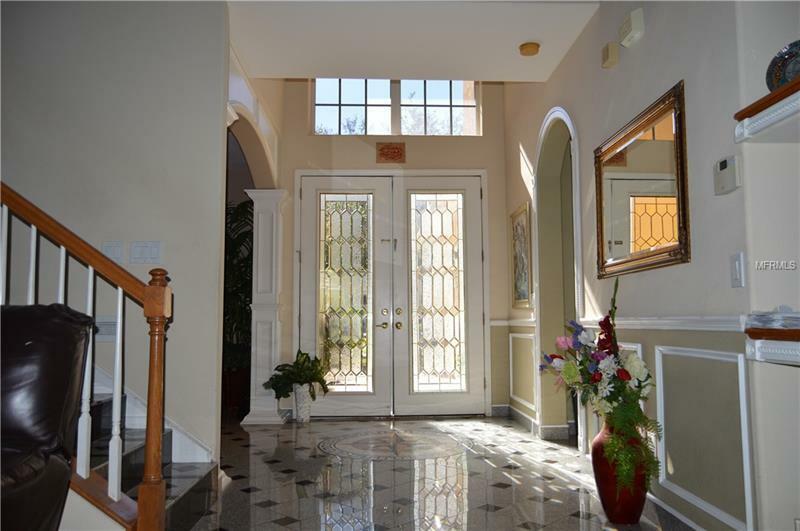 Beautiful stain glass double doors welcome you to the two story entrance with Marble Medallion & Granite flooring. 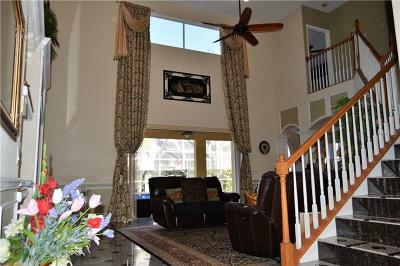 The house is very bright and opens to 20 feet ceiling in the family room. 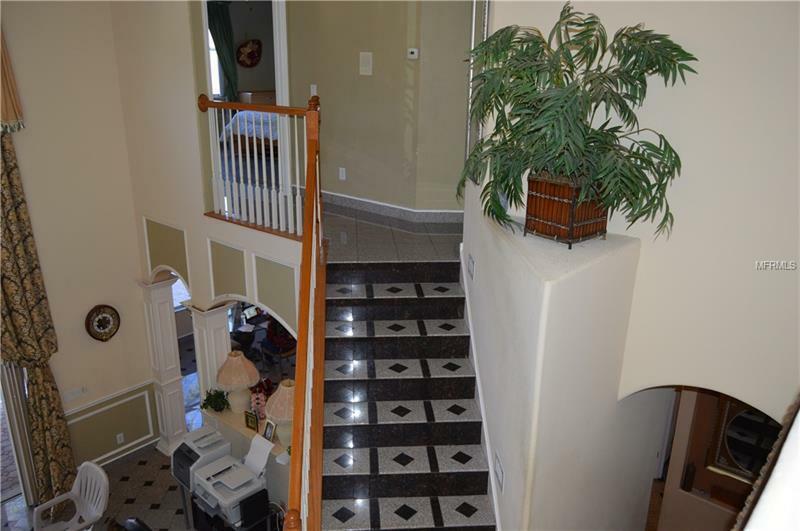 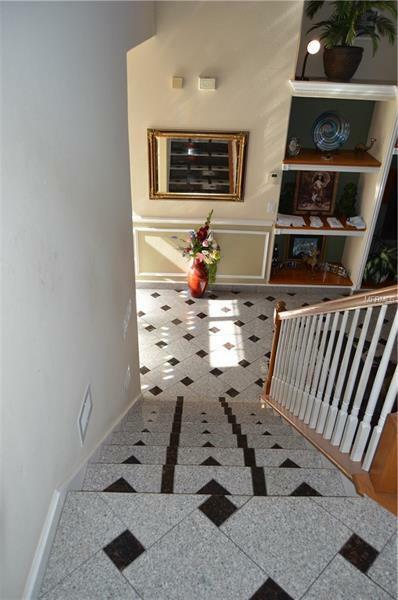 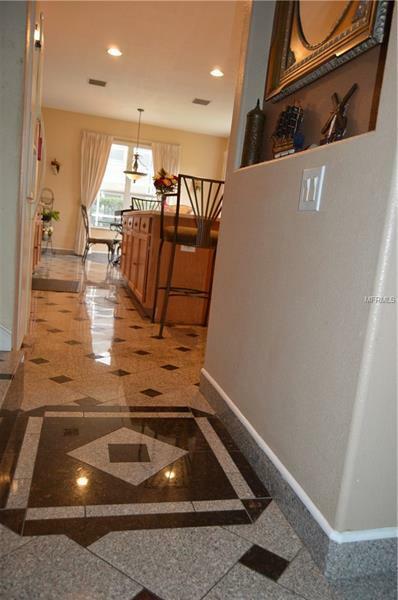 Customized granite flooring with a unique pattern through the main floor, stairs and landing area is AMAZING. Custom wood working throughout Living, family, entertainment & kitchen entrance. 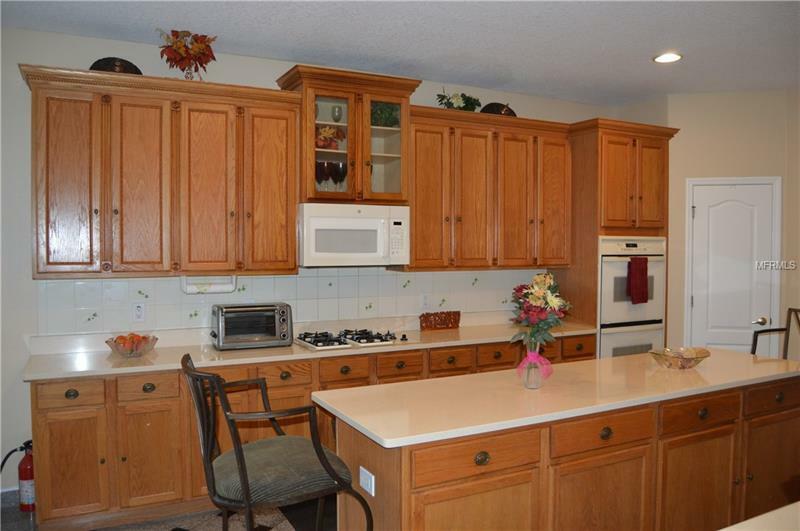 The kitchen cabinets have custom borders and braids. 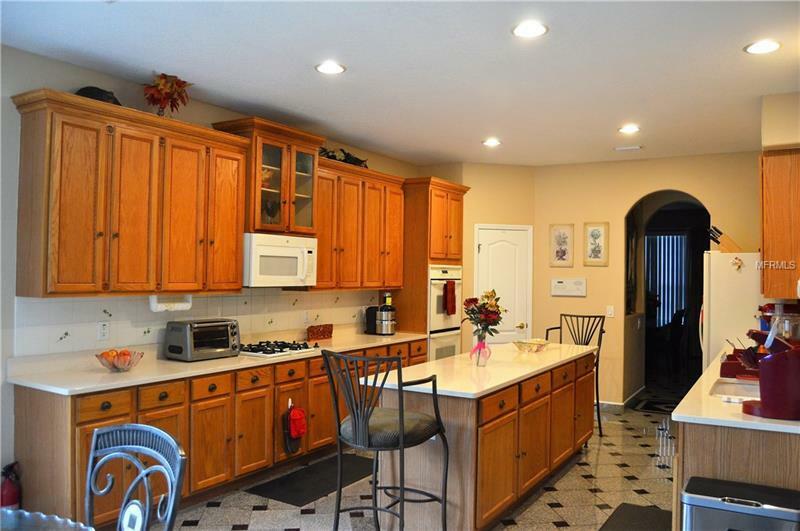 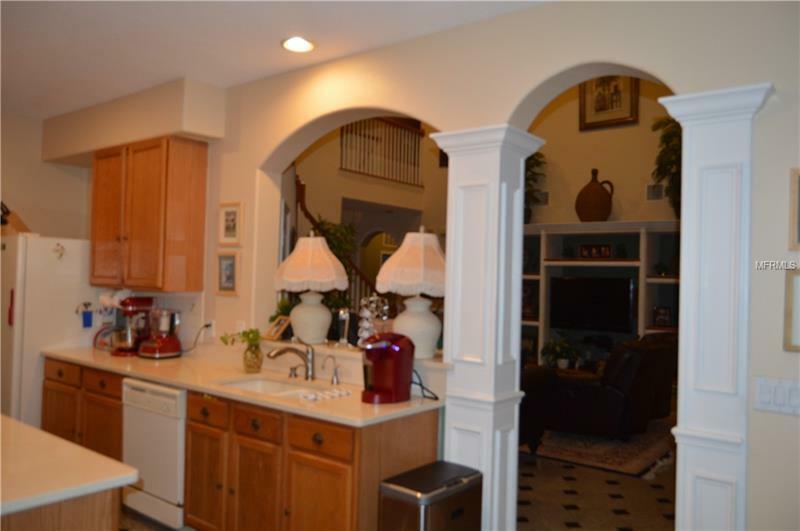 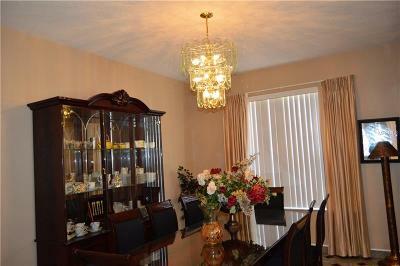 Very functional kitchen with gas stove and eat in area with a breakfast nook and HUGE island. 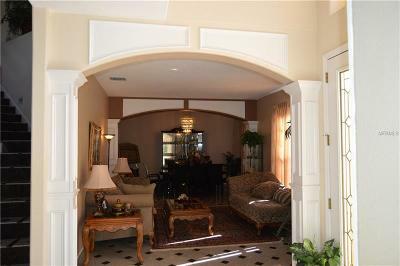 Custom molding and chair rails in living, dining, family & bath. 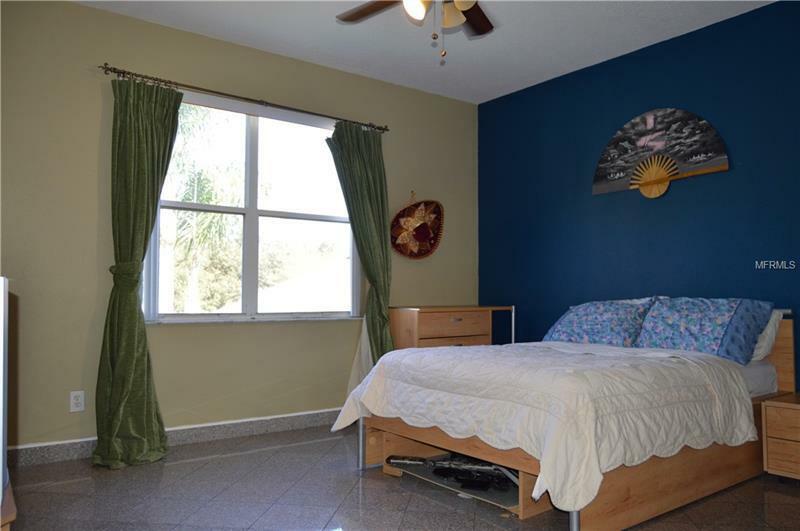 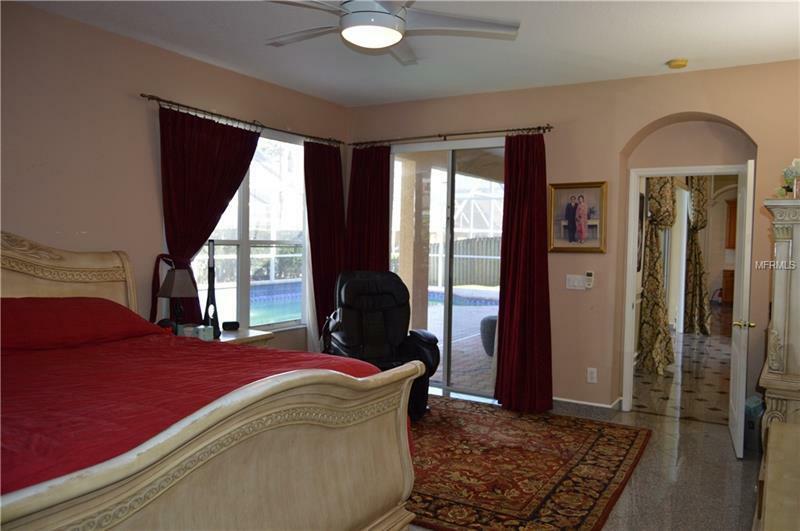 Large master bedroom with attached bath, his & her walk-in closets and double vanity sink. 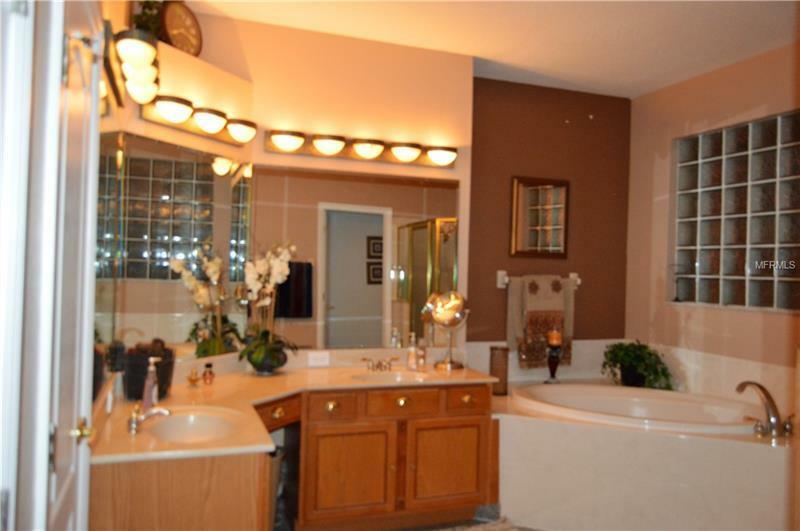 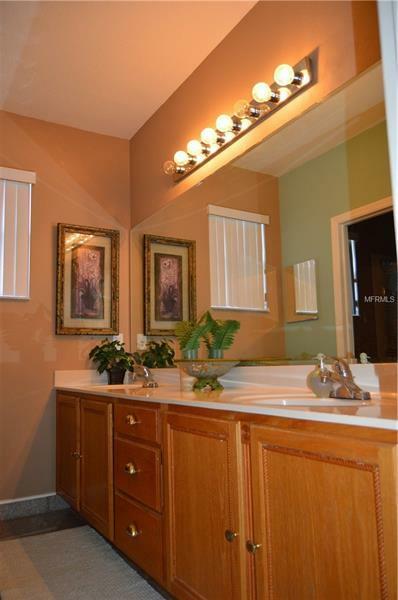 Master bath boast large Garden tub and a separate shower stall. 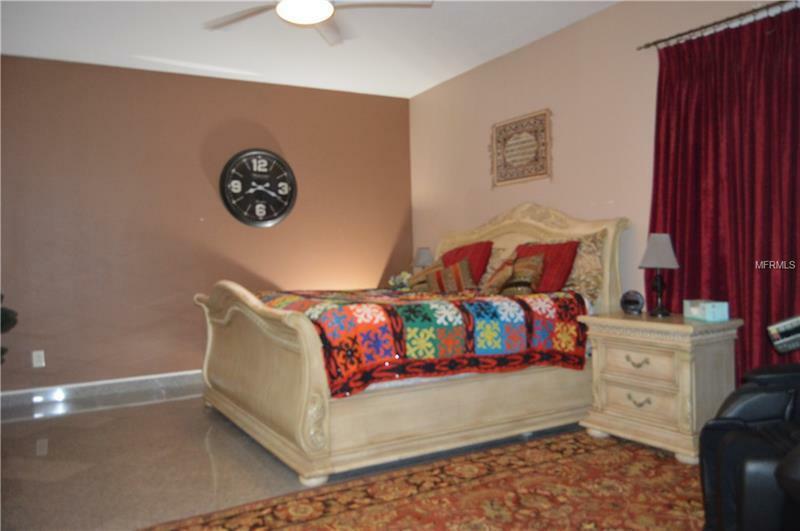 There is an additional bedroom downstairs that can be used as a guest or in-law suite. 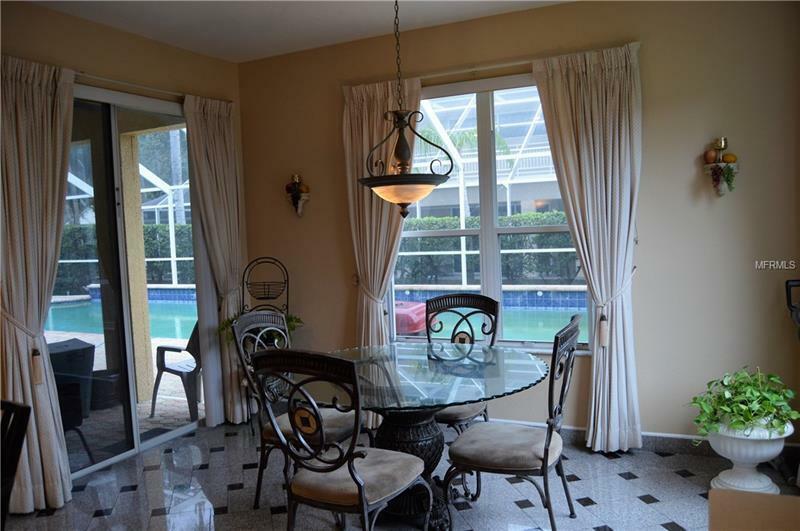 Three door slider leads you to the screened pool area with large covered lanai. 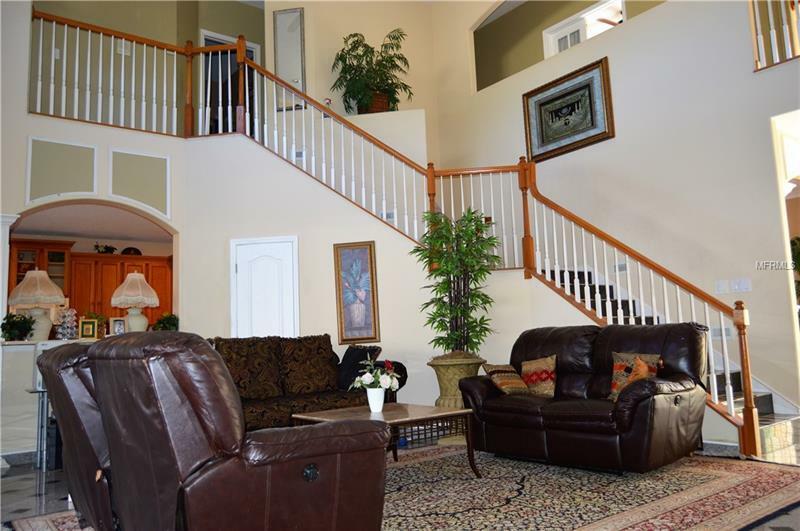 Three additional bedrooms and a large GAME room upstairs make this home perfect for large families and to entertain. 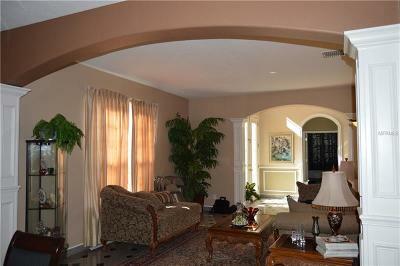 Enjoy fantastic pool view and pool access from family, kitchen and master. 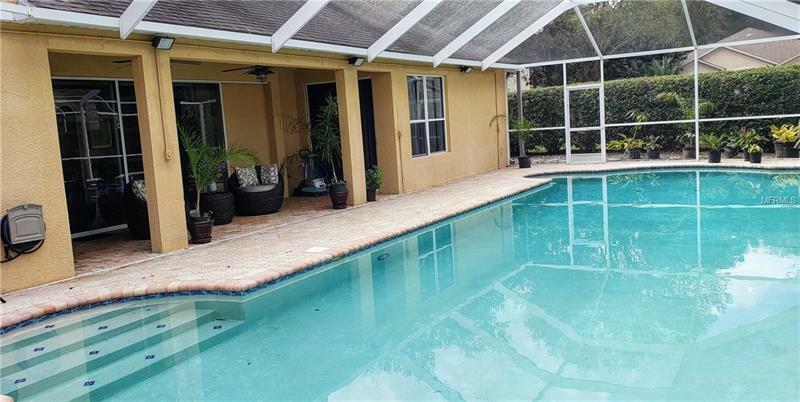 The pool includes built in water fountains. 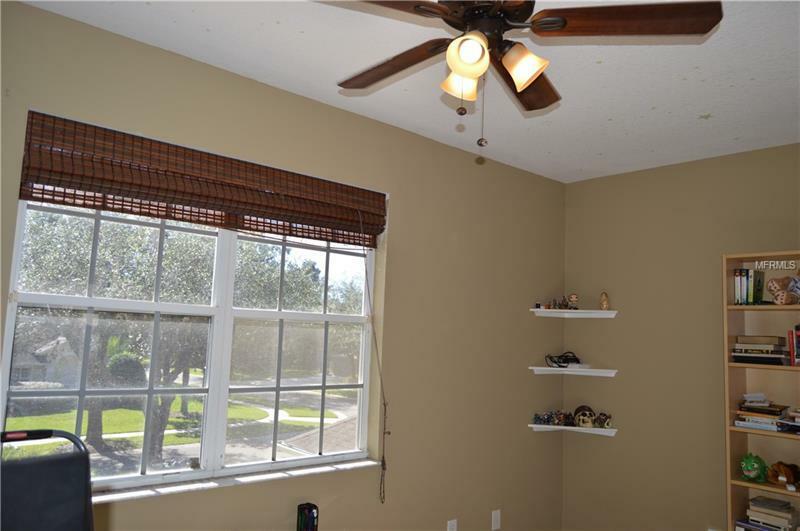 Plenty of storage with custom under stairs closet & garage attic liner. Wired for backup generator, gutters, fans & more. 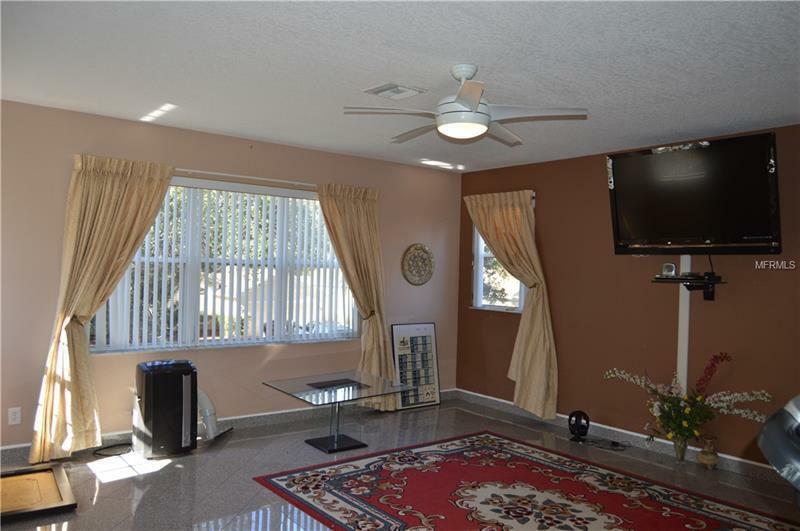 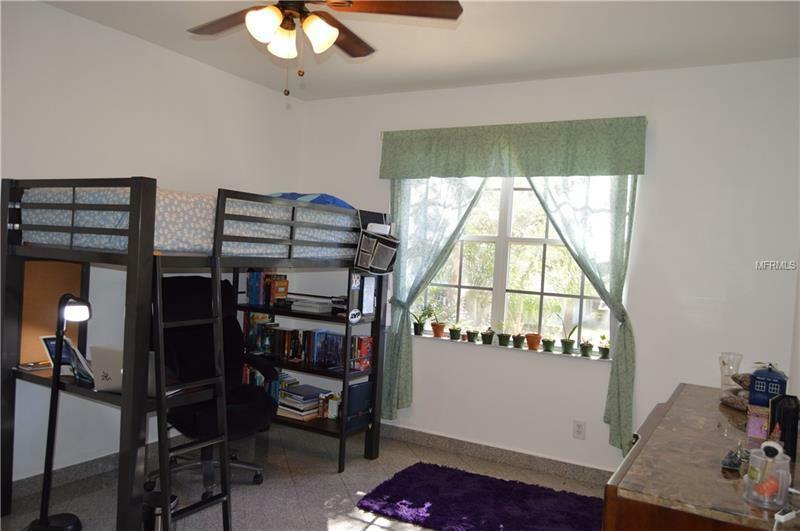 This property has all the comforts of a home! Don't miss it. 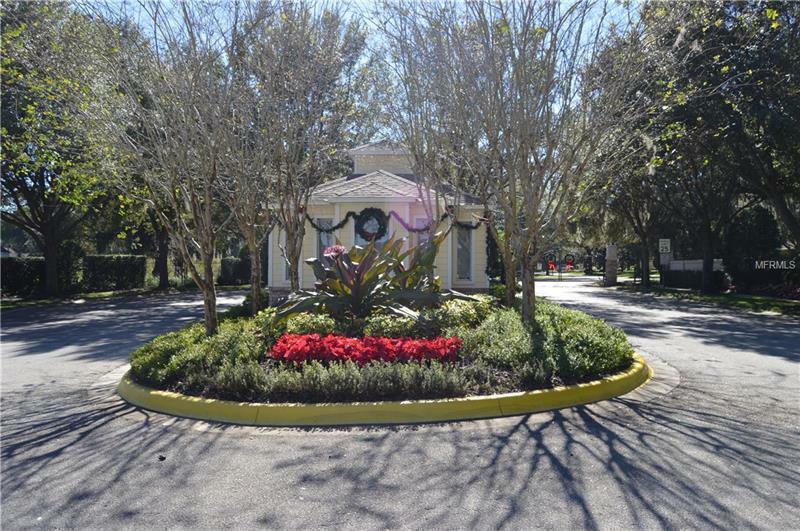 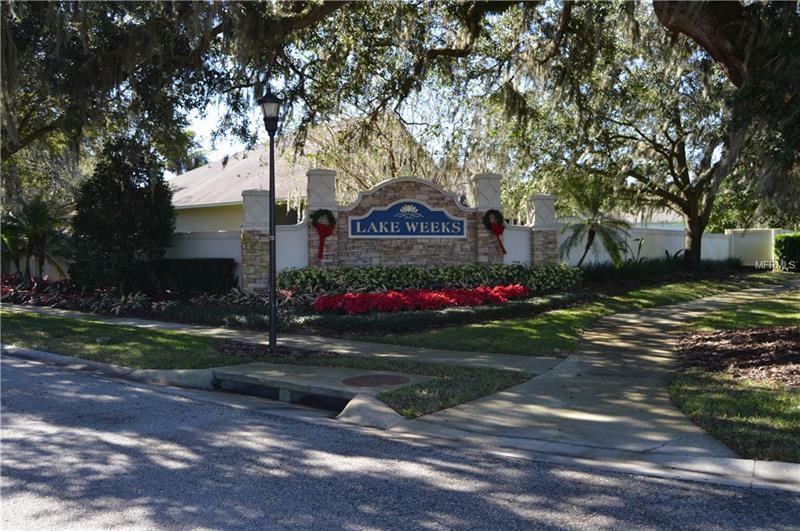 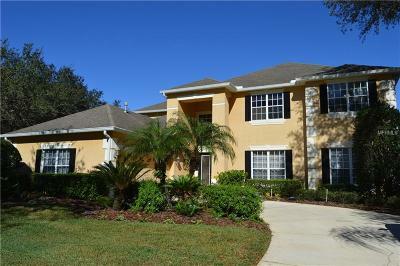 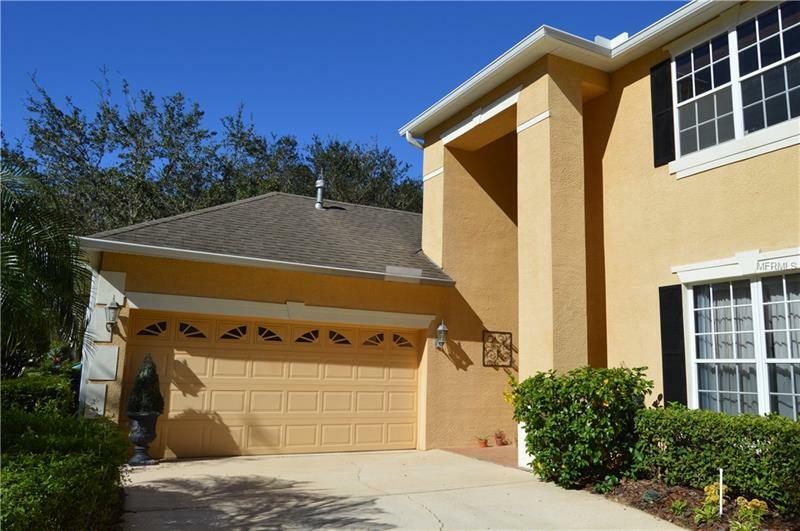 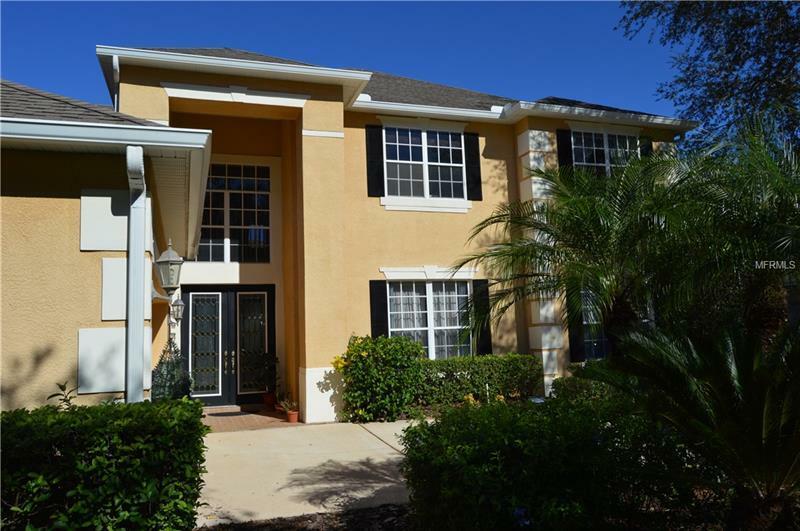 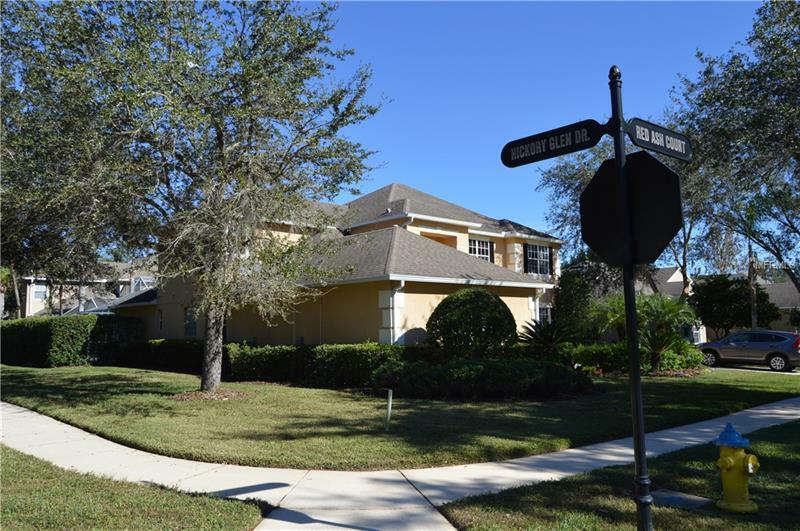 Lake Weeks is a well maintained gated community with quick access to I4 and I75 . 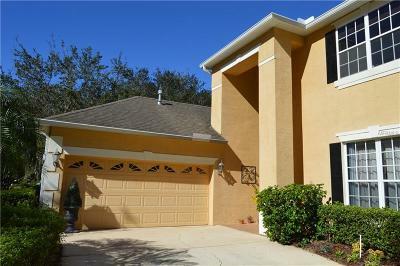 Pet Restrictions: Please verify with HOA.